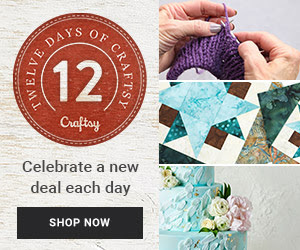 Get the gift you really want during Craftsy’s Best of 2014 Sale happening now through Christmas! 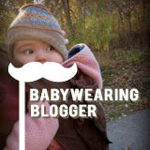 Treat yourself while ALL our classes are $19.99 or less, so you can make your best projects in 2015. 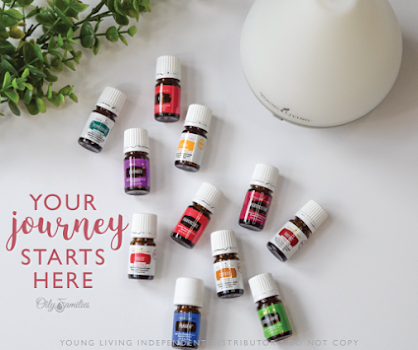 Shop now to stock up and save. 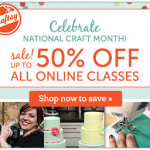 Once you enroll you’ll own your Craftsy classes forever, so you can watch them at your pace in the comfort of your home, anytime. 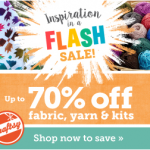 Craftsy’s Best of 2014 Course Sale – $19.99 or less! 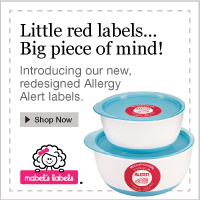 Hurry, offer expires 12/25/14 at 11:59 PM MT. 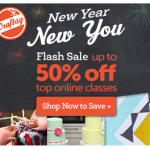 Share the post "Craftsy’s Best of 2014 Sale"
Craftsy’s New Year, New You Flash Sale: up to 50% Off!